Kansas City, Mo. – Invicta Fighting Championships will showcase its deep roster of strawweight talent next month, today adding four 115-pound bouts and one 105-pound bout to the fight card for Invicta FC 22: Evinger vs Kunitskaya, which takes place Saturday, March 25 from the historic Scottish Rite Temple in Kansas City, Mo. In the Invicta FC 22 co-main event, reigning atomweight champion Ayaka Hamasaki (14-1) will step outside the division she has dominated, moving up to strawweight to challenge Livia Renata Souza (9-1), a former champion of that weight class. Since dropping to atomweight after an initial run at strawweight, Hamasaki’s record has remained unblemished en route to five victories in a row. The Japanese champion captured Invicta gold at Invicta FC 13, a decision win over Hérica Tibúrcio, and defended the belt twice in 2016, finishing both Jinh Yu Frey and Amber Brown. Souza bounces back after suffering the first defeat of her career, a decision loss to Invicta FC strawweight champion Angela Hill in May of last year. Previously scheduled to square off at Invicta FC 21 last month, veterans DeAnna “The Argentine Assassin” Bennett (8-2) and Jodie Esquibel (5-2) have been rebooked for their strawweight scrap at Invicta FC 22. Bennett is coming off a back-and-forth battle with flyweight title challenger Roxanne Modafferi in March, while Esquibel headlined Invicta FC 18 against UFC strawweight contender Alexa Grasso in July. Also contested at strawweight, Iceland’s Sunna “Tsunami” Rannveig Davidsdottir (1-0) meets Mallory Martin (1-0), training and fighting out of Thailand for her Invicta debut, while Kal “.50 Kal” Holliday (1-0) looks to build momentum following her submission victory over Tiffany Van Soest when she takes on 19-year-old Miranda “Fear The” Maverick (1-0). Jinh Yu Frey (5-2), who last competed for the Invicta FC atomweight championship, welcomes undefeated Brazilian atomweight Janaisa “Evil Princess” Morandin (9-0) to the organization. Invicta FC 22 is headlined by the rematch between Invicta FC bantamweight champion Tonya “Triple Threat” Evinger (18-5, 1 NC) and Russian challenger Yana “Foxy” Kunitskaya (9-2, 1 NC). Initially ruled a submission victory for Kunitskaya, the result of their first meeting was overturned and deemed a no-contest following a ruling by the Missouri Office of Athletics. Additional bouts for Invicta FC 22: Evinger vs Kunitskaya 2 will be announced soon. 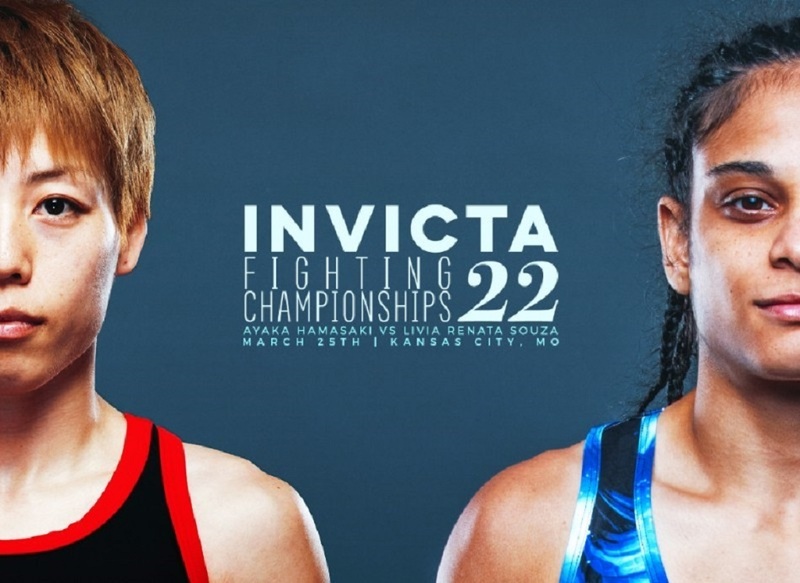 Invicta FC 22: Evinger vs Kunitskaya 2 streams live and exclusively via UFC FIGHT PASS at 7 p.m. CT.
Tickets for Invicta FC 22: Evinger vs Kunitskaya 2, priced at $50, $35, or $25, go on sale this Saturday, Feb. 11 at 10 a.m. CT via Ticketfly.com.